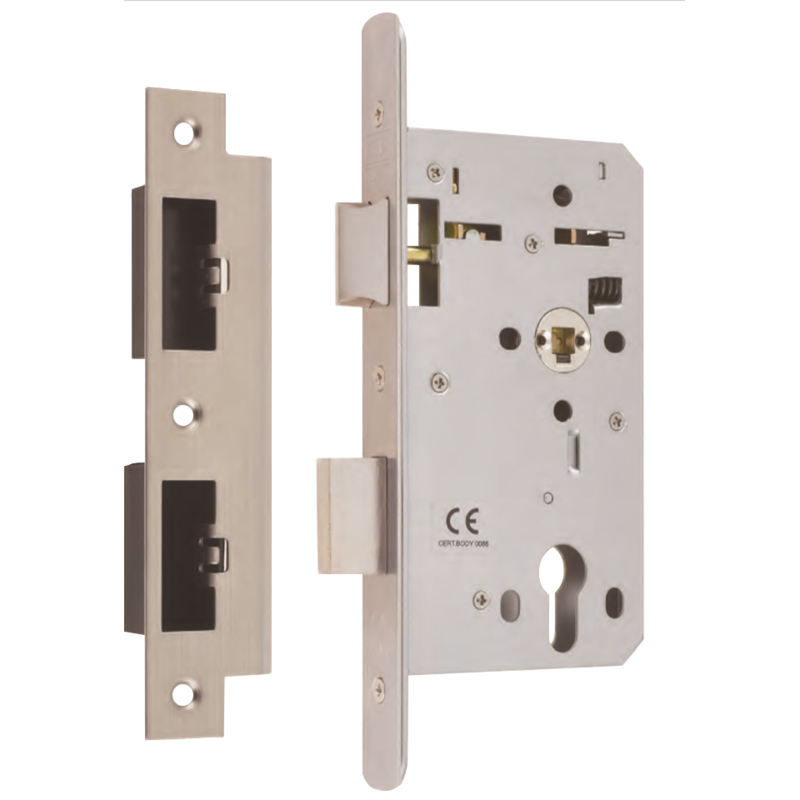 The ASEC DIN Bathroom Lock is a European contract modular lock, allowing simplified door preparation and lock interchangeability. 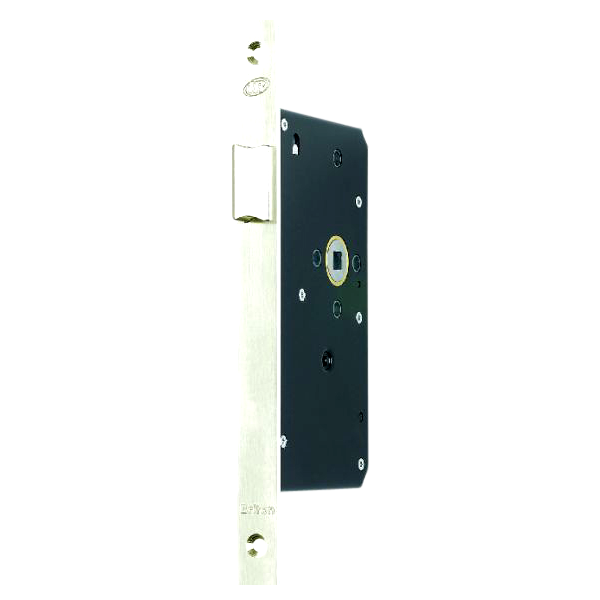 Thanks to its silver powder coating, the lock provides excellent corrosion resistance and is CE marked. 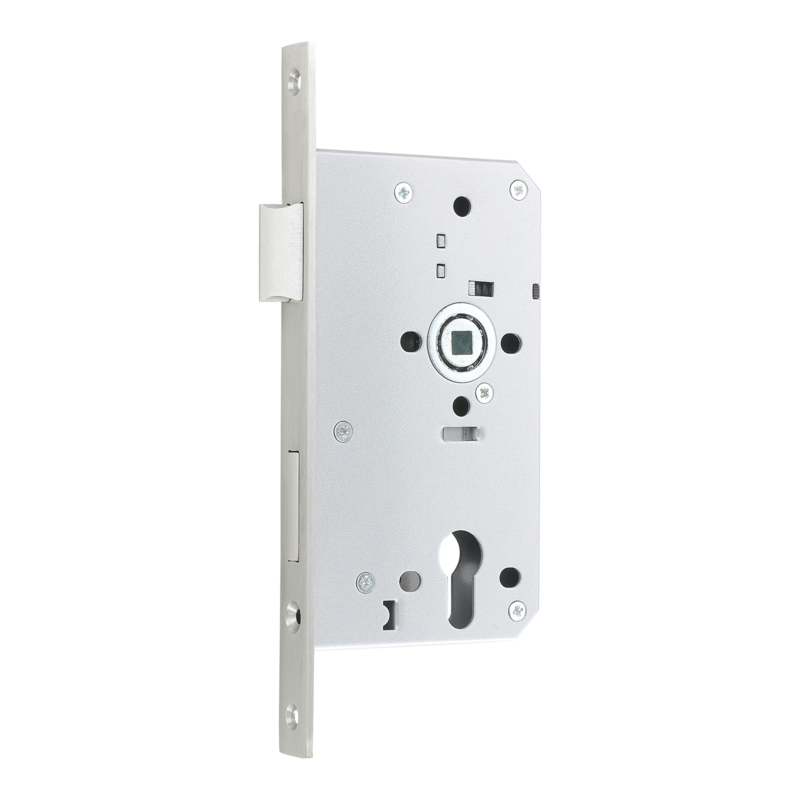 The ASEC DIN Mortice Latch is a European contract modular lockcase, allowing simplified door preparation and lock interchangeability. 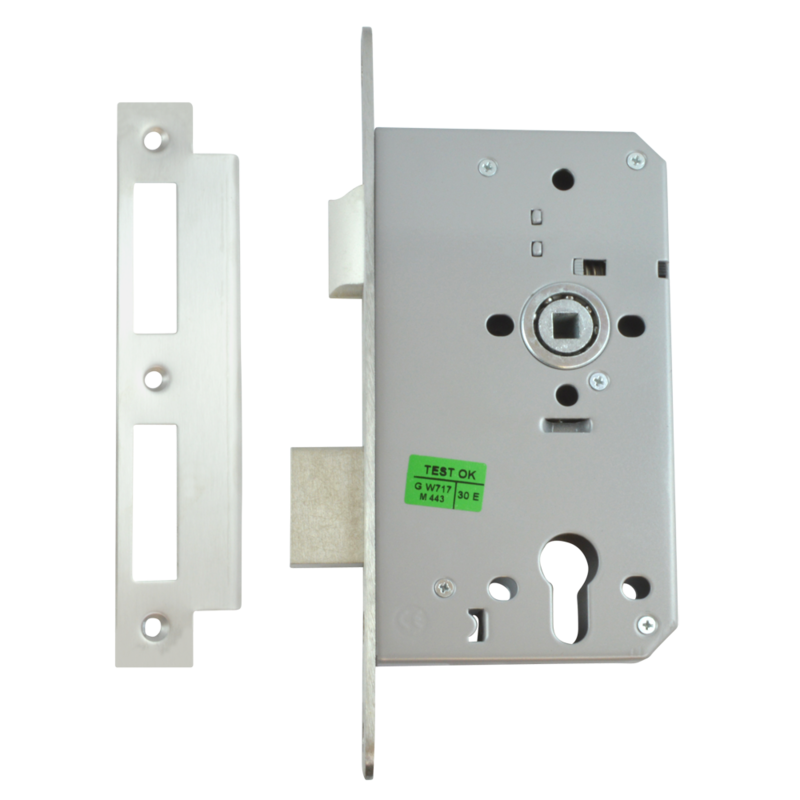 Thanks to its silver powder coating, the lock provides excellent corrosion resistance and is CE marked. 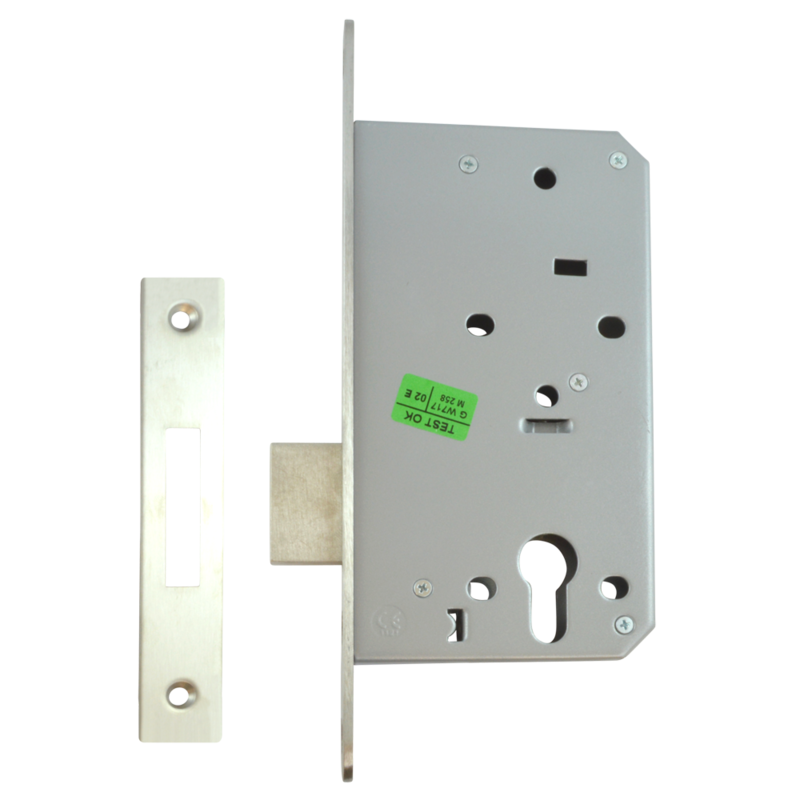 5540 Mortice Latch from Briton with a square stainless steel forend. 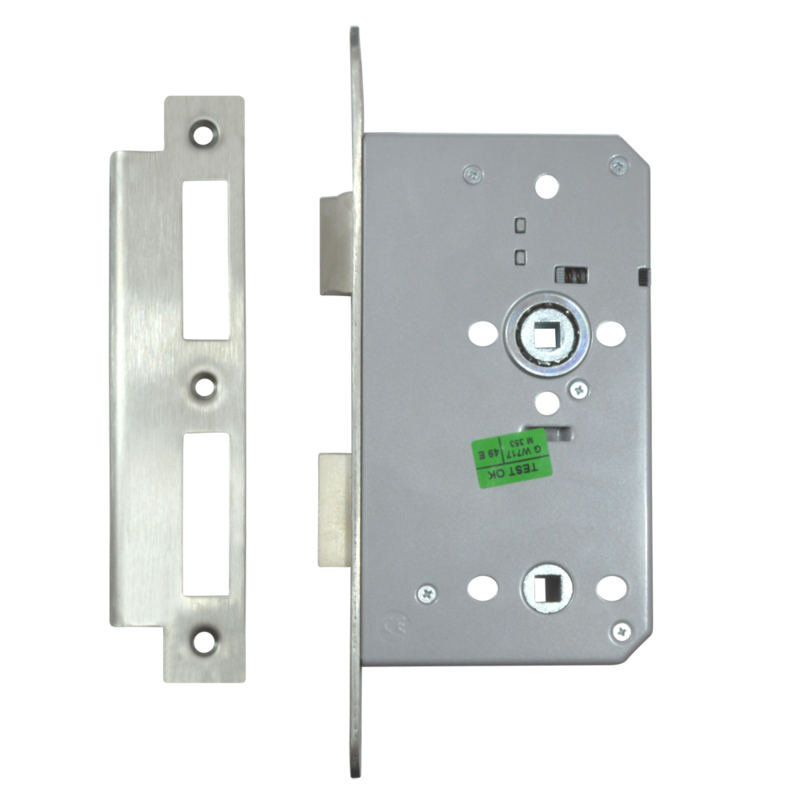 It is easily reversible for use on either right or left handed doors and it is designed for use on doors with lever furniture which are not required to be locked. It has been EN 1634 tested for fire door suitability (when used in conjunction with intumescent protection) and has been rated as giving 90 minutes protection for timber fire doors and 4 hours for steel fire doors. It has also been tested to EN 12209 as well as being CE Marked, Certifire approved and supplied with a 10 Year manufacturer’s guarantee, giving maximum peace of mind for the consumer. 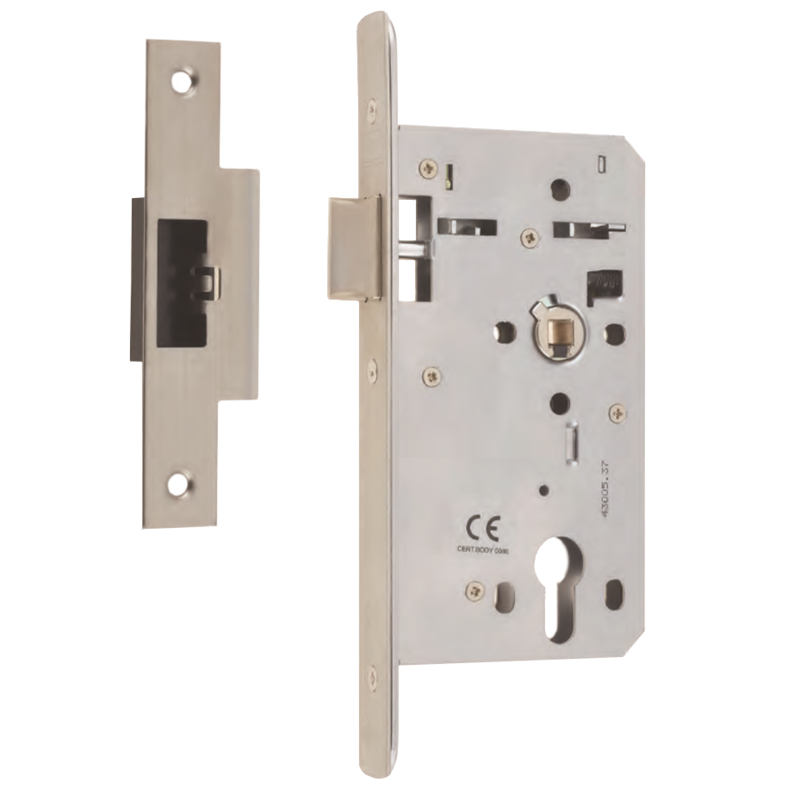 This Euro Profile Mortice Bathroom Lock (case only) is part of the proven high quality HD72 range of lockcases from Union. It is weather & corrosion resistant and suitable for bolt-through fixing. 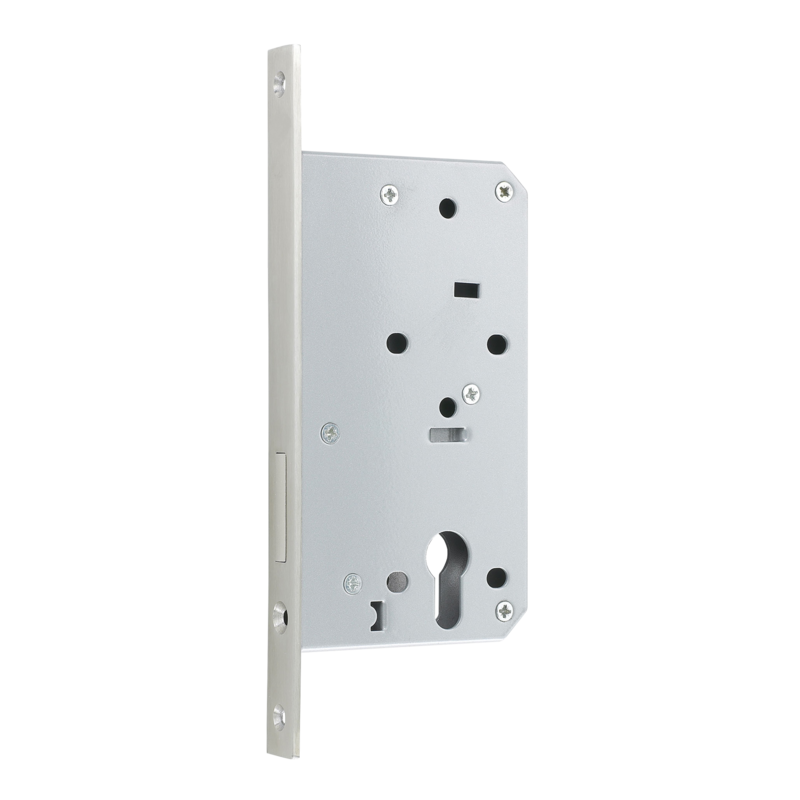 The full HD72 range has been designed with the same footprint for maximum user convenience, using the same case sizes for easier installation and with a removable faceplate which allows for the door to be decorated without needing to mask off the faceplate area. The range also meets Grade 3 Category of Use making it a heavy duty product which is suitable for high frequency use making it an ideal choice for public and commercial areas. The heavy springing and 1° angle follower provide support for handles up to 930g, giving a greater scope for design in door furniture. 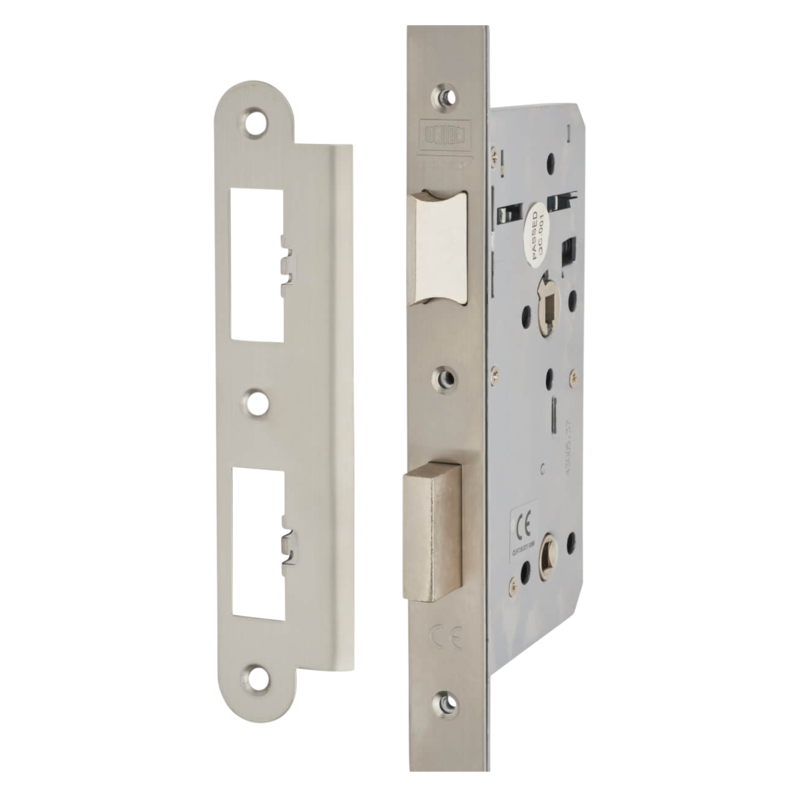 The contemporary design features cast steel latches and durable chrome plated deadbolts as well as being provided with spindle grip to eliminate handle rattle, giving a professional aesthetic. A two-way adjustable strike with splinter guard ensures a perfect fit is quickly achieved, with adjustable strikes to ensure door engages to the frame correctly, while the splinter guard hides rough unfinished timber and protects the lock from frame debris. The HD72 range is CE marked & Certifire approved, having undergone rigorous testing to prove suitability for use on timber and metal fire doorsets. With a 15 Year Manufacturer’s Guarantee, users can be assured that this product is a durable, reliable and professional choice of mortice lockcase. 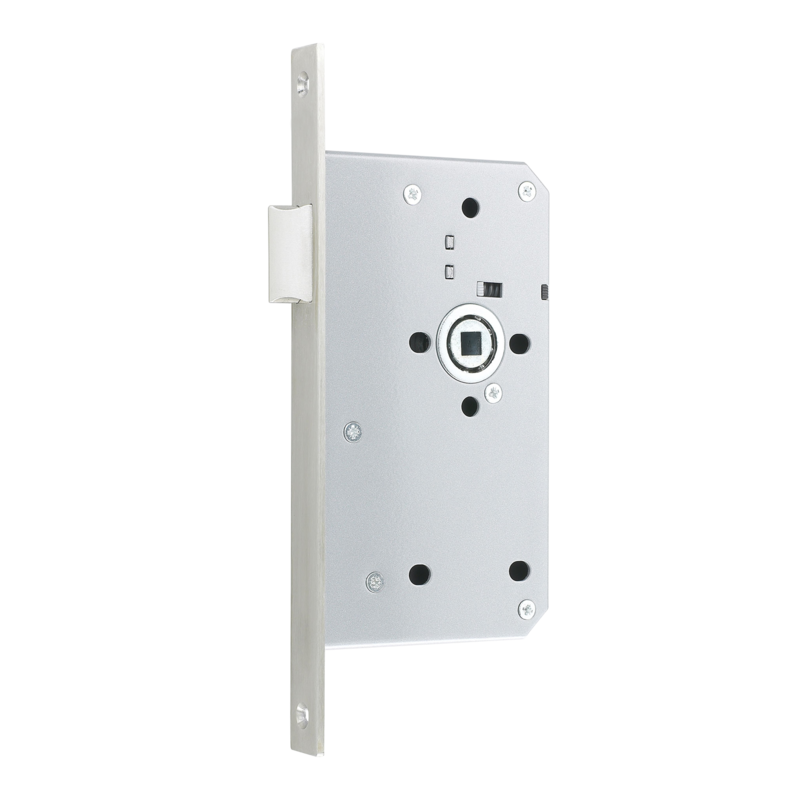 This Euro Profile Mortice Latch (case only) is part of the proven high quality HD72 range of lockcases from Union. It is weather & corrosion resistant and suitable for bolt-through fixing. The full HD72 range has been designed with the same footprint for maximum user convenience, using the same case sizes for easier installation and with a removable faceplate which allows for the door to be decorated without needing to mask off the faceplate area. The range also meets Grade 3 Category of Use making it a heavy duty product which is suitable for high frequency use making it an ideal choice for public and commercial areas. The heavy springing and 1° angle follower provide support for handles up to 930g, giving a greater scope for design in door furniture. 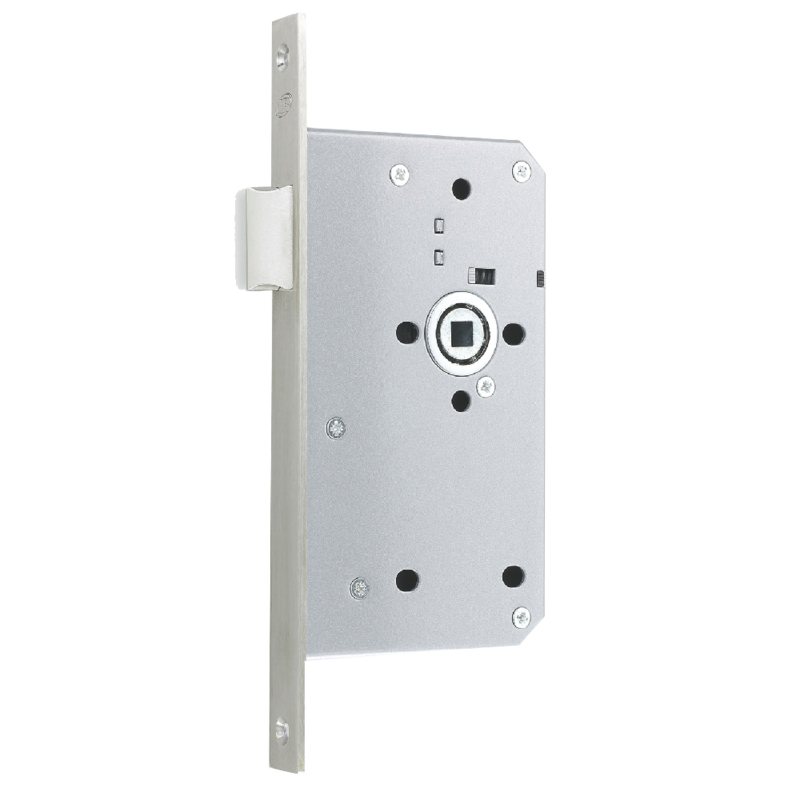 The contemporary design features cast steel latches and durable chrome plated deadbolts as well as being provided with spindle grip to eliminate handle rattle, giving a professional aesthetic. A two-way adjustable strike with splinter guard ensures a perfect fit is quickly achieved, with adjustable strikes to ensure door engages to the frame correctly, while the splinter guard hides rough unfinished timber and protects the lock from frame debris. 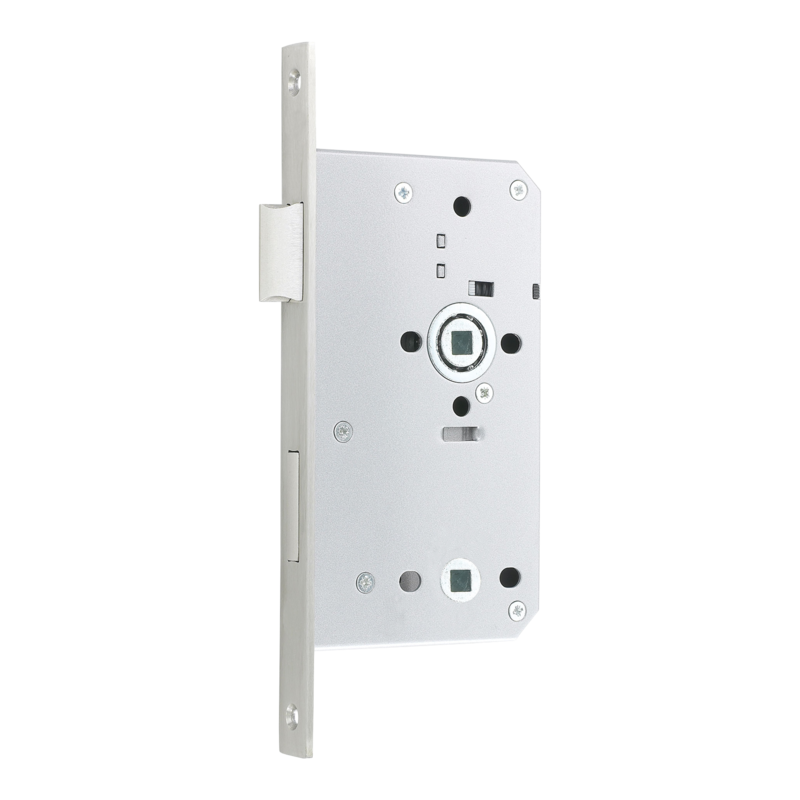 The HD72 range is CE marked & Certifire approved, having undergone rigorous testing to prove suitability for use on timber and metal fire doorsets. With a 15 Year Manufacturer’s Guarantee, users can be assured that this product is a durable, reliable and professional choice of mortice lockcase.